Imagine your ideal golf course … bet it contains 18 great golf holes and some of the most stunning scenery on the planet. 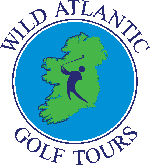 Here is our choice of the best golf holes on the Wild Atlantic Way. At WAGT we have designed 3 tours incorporating all 18 courses. 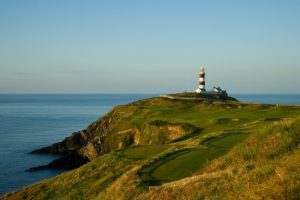 Links land is a geological rarity, but with a windswept coastline, the natural conditions on the Wild Atlantic Way mean some of the greatest and most challenging links courses in the world are here. See the breathtaking images of the 18 great holes. 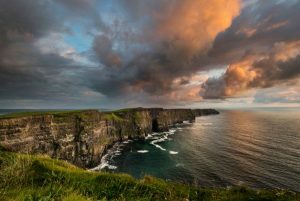 As you journey from Donegal in the north to Cork in the south, through regions like Connemara, Galway Bay, Clare and Kerry, you’ll find the Ireland you’ve always imagined: breathtaking views, unspoilt landscapes and a warm Irish ‘Cead Mile Failte’. 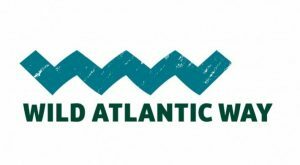 The Wild Atlantic Way stretches for 2,500km along Ireland’s west coast. 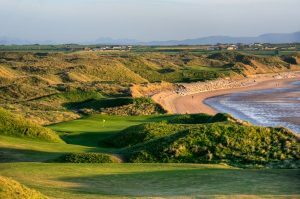 It’s a place where the wild Irish landscape collides with the dramatic Atlantic seascape – the perfect combination for creating stunning links courses with breathtaking backdrops.